Share the post "Labrador Retrievers and Dog Food: What to Feed Them"
So you have this new beautiful Labrador Retriever puppy or full grown rescue Lab and you have no clue what to feed it. Does that sound familiar? It should. There are are currently over a hundred dog foods in the U.S. market alone; deciding which one to choose can make any new dog owner’s head spin. 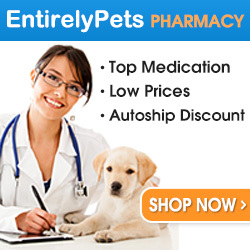 You want what’s best for your pup but you don’t want to break your bank account while trying to give Fido to the best. There is a direct link between the dog breed you have and the dog food it needs. Smaller breeds tend to live a longer life given that they are not prone to many of the health problems larger breed dogs face such as hip dysplasia, OCD, poor eye sight, and so on. The large breed dogs, such as Labrador Retrievers, need vital nutrients and minerals during all stages of their lives, but especially during the newborn to 18-month old growth stage. To ensure that breeds such as Labrador’s get what they need from the food they eat, a number of companies have come out with Large Breed and Puppy Large Breed dog foods. These foods may contain higher levels of Glucosamine (for healthy bones & joints), lower calories (to maintain weight), higher protein (for strong muscles and ligaments), and additional vitamins and minerals to sustain a healthy immune system. It goes without saying that puppies and older dogs are much different and therefore have different needs. Puppies are in constant growth and need foods with high quality proteins listed as the first ingredient of the dog food you are going to use. Chicken meal and Lamb meal are two top choices for most Lab owners as the word “meal” just means that it is a dry form of the product. They will also need more calories then older dogs but do keep in mind that the more you feed, the more waste. So, you will want to choose a food that does not require high quantities but more quality nutrients per serving. Older dogs have varying requirements. Some Labs will become overweight with age due to poor feeding or lack of exercise. for this reason, it is best to speak with your rescue group volunteer about the specifics of that particular dog’s dietary needs prior to welcoming it home. Over the course of the years we have had Labrador Retrievers and spoken with other Lab owners, it has become more obvious that a number of Labradors have sensitive allergies to certain types of food. It is not uncommon for a Lab owner to go through many foods before finally finding a food that both meets the pup’s dietary needs as well as provides relief from the dog’s allergies. It’s best to avoid foods that contain chicken by-products as this is usually a main culprit of Labrador Retriever food allergies. Most lower quality food will list chicken or other animal by-products as one of their top 10 ingredients. If this is the case, leave the bag on the shelf and keeping moving. First, let me point out that I am in no way paid for or affiliated with any specific dog food companies. My advice is provided by my own trial and error with our chocolate Lab, Dakota, who suffers from chicken meal and chicken by-product induced allergies. Holistic Select – offers a wide variety of foods, guarantees their food with a money back guarantee, and offers a variety of coupons per month. Nutro Natural Choice and Ultra – offers a wide variety of foods for all life stages as well as holistic diets. Natura – ultra holistic dog food with top ingredients and nutrients. Fresh water is a must! Refill the water dish often and at meal times. Start to reduce frequency of feedings after your puppy has reached 3-months old. This means the pup will go from 3 meals a day to 2 meals a day. Mature Labs should be fed twice a day. Feeding times should be the same from day to day and any old food left in the bowl should be dumped out once the pup is done eating that meal. This will train the dog to known when mealtime is in your house. Labs love schedules! Check with your veterinarian to see which food would supply the most amount of nutrients and minerals needed for your pup. Most Lab owners will recommend staying with a large breed dog food and if your Labrador is on joint supplements, you may then move to the non-large breed foods but remember that quality is still very important. No buying those cheap brands just because they are on sale! Look for foods that contain fish oil or sunflower seed oil. These will help promote healthy skin and a shiny coat. It was said before but must be said again – avoid foods with chicken by-products! By-products are intestines, heads, and feet of animals. Do you really want your pup eating these? Also, by-products are not as digestible as chicken meal so you want to make sure your pup gets the most of our its dog food. If you must feed table scraps, treat the pup to a very small and non-seasoned portion. For example, if we have unseasoned pork chops, we will give a dime sized piece to each of our Labrador Retrievers after we have trimmed the fat from it. They don’t need anymore than this sized portion if you must treat. Why? Read #9! Don’t change your dog’s food! If you must, then change it gradually and not often. Unlike humans, dog’s digestive system does much better when on one food. Changing food frequently or quickly will result in upset stomachs, diarrhea, throwing up, and very bad gas! This includes giving table scraps. Keep your dog away from any hazardous food listed here! Feeding time should be a positive experience in your home. If you give your Labrador Retriever the best dog food to sustain a health, happy, and long life, then you are very responsible Lab owner and deserve a round of applause. Remember, your Lab relies on you to keep it healthy and safe. Loaded with this information, you can now make a more well-informed decision about what your Lab should be putting into it stomach. Many Lab owners will testify that allergic reactions and poor health due to dog food is something that every Labrador family must be knowledgeable about. Such reactions and poor health not only hurt your dog but the medical expenses to find out and fix the problems could put a huge dent in your piggy bank. Myself, as well as these other Lab owners, have come to realize that although you may spend more on higher end dog foods now, it is a huge savings in the long run. Not only can you be spared those medical expenses but you decrease the chance of having to see Fido scratching uncontrollably, being in pain from advanced joint problems, losing its fur, gnawing/licking its paws continuously, and having skin irritations that lead to infections and a life that we, ourselves, would not want to live. 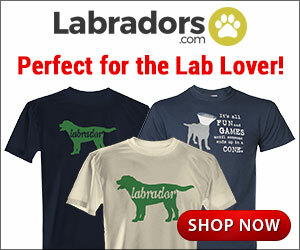 I am sure you will agree that the price is well worth the quality of life for your Labrador Retriever. Why Use Elevated Dog Bowls for Labrador Retrievers? © Copyright 2016 8PawsUp.com · All Rights Reserved · SEO Provided by Shannon K. Steffen International, LLC.